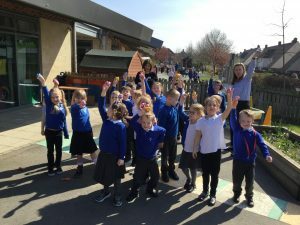 We have had a really exciting day today! 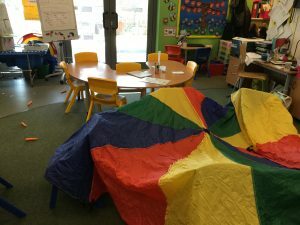 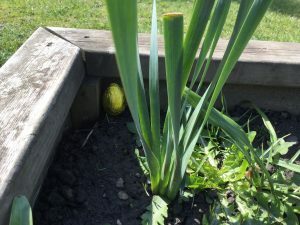 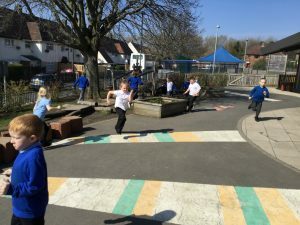 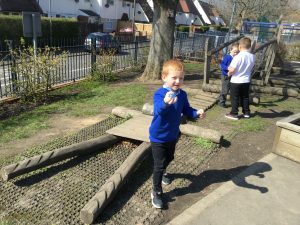 Mrs Oram asked us how we could catch the Easter Bunny if he visited school and we had such amazing ideas that we decided to set a trap to catch him. 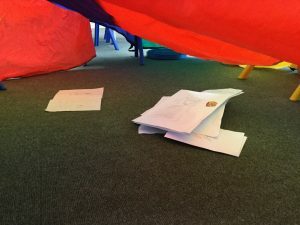 We laid out a trail of carrots which led to a parachute trap and inside of the trap we left him some letters and cards to read. 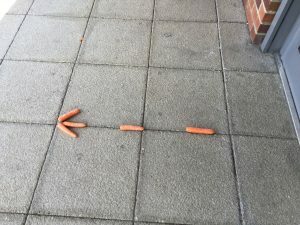 After assembly we came back to the classroom to find that the carrots had been moved outside and made an arrow shape pointing to the yard and the trap had fallen. 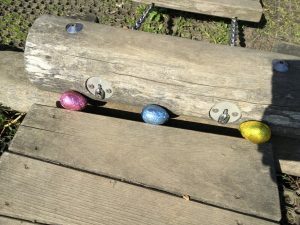 We ran outside and found that he had tricked us and left us an Easter treat hidden outside. 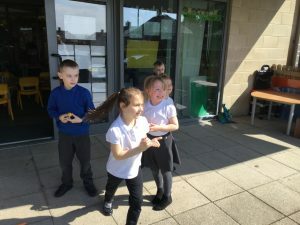 It was great fun hunting for an egg each. 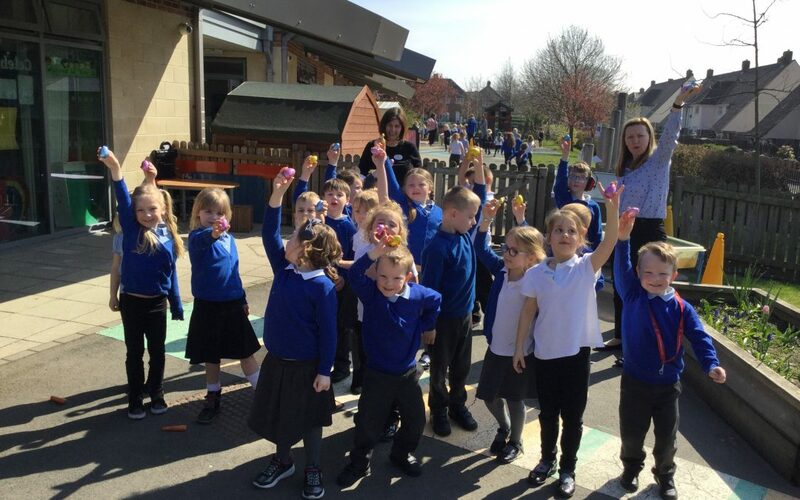 Then we found out the winner of our competition to decorate an egg and we all got a prize for entering. 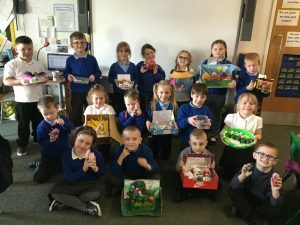 Look at our fabulous designs!